A “Class of 1964” charter inductee, Gus Rivers won two Stanley Cups with the Canadians in 1929 and 1930. 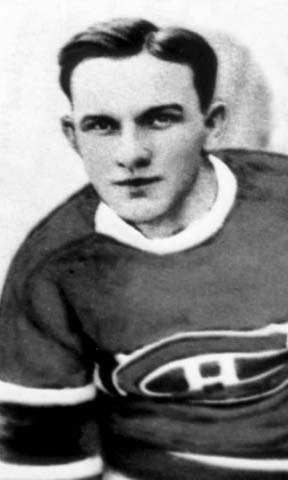 He also won two Fontaine Cups with Providence in 1931 and 1933. In six campaigns with the Reds from 1931 to 1937 this right-winger compiled 164 points with 72 goals and 102 PIM in 233 games. A veteran of three NHL seasons from 1929 to 1932, Rivers notched 9 points, 4 goals and 12 PIM in 88 games. He was especially productive in 16 career playoff games, hitting the nets 6 times and adding 5 assists. He was also inducted into the Manitoba Hockey Hall of Fame in 1985.